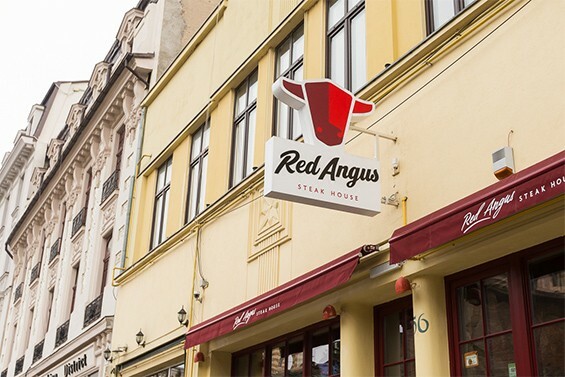 Are you looking for a steakhouse, where you can eat the best beefsteak in town? 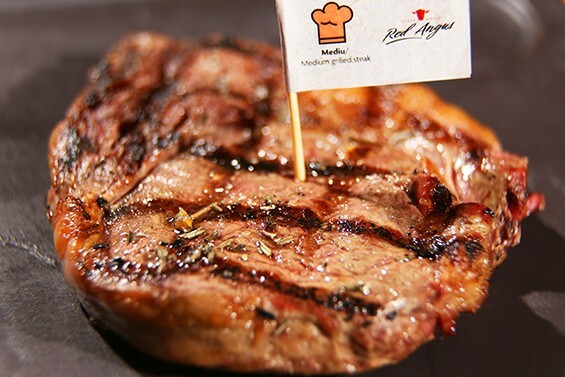 Red Angus is imported by us from Australia and Uruguay, to be able to live up to the most demanding expectations. 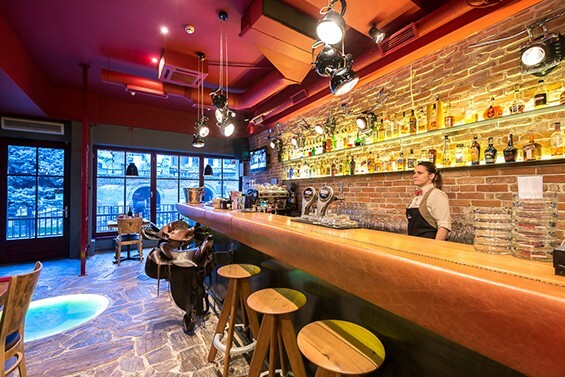 Looking forward to greet you in an authentic American location with LIVE blues and jazz concerts, in warm atmosphere with friendly staff. Exquisite beefsteak, juicy and tender, prepared in superbly delicious courses. A superb rib eye, a beef cut with marbling that guarantees absolute tenderness and unique flavor, deserves a noble partner, a king of red wines. We recommend Cabernet Sauvignon, a wine that, although rugged at an early age, evolves to maturity with astonishing flavors. The perfect mix for the sophisticated gourmand. Delicate tenderloin and exquisite sirloin, combined through a savory T shaped bone, meant to guarantee a burst of flavors and a feast for senses. We recommend with a Pinot Noir, a seductive red wine, more delicate than Cabernet, with an intense velvety taste, that compliments this rich beef cut. The Uruguay tenderloin is a soft, fat free beef cut, with a rich taste. A culinary refinement that only finds its balance in a Cabernet Sauvignon-Carmenere, from the regions of Bordeaux or Chile, fruity, with a taste of blackcurrant and bitter cherries, that evolves into a sweet taste of dark chocolate. Whether you are looking for a location to organize corporate or private events, Red Angus Steakhouse is the ideal option. 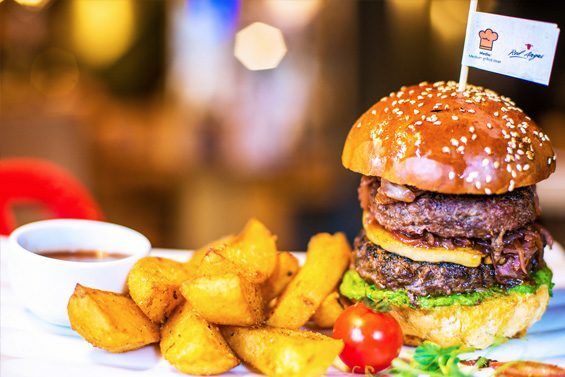 You get: customized packages, tailored to your budget, impeccable service, menus created by Executive Chef Marian Huzu and a great ambience maintained by LIVE blues and jazz concerts. 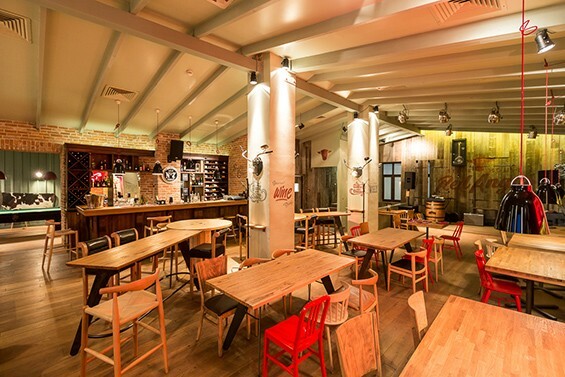 I think is one of the best restaurant have ever been.I`m from Budapest and I had a greate time there. We were so pleased in our first visit to the restaurant, that we returned a few days later! The meat was delicious, as well as the chocolate soufflé! Very friendly service! Great food, love the steak and burgers they have. Good prices for the quality and love the ambience this place offers when eating!